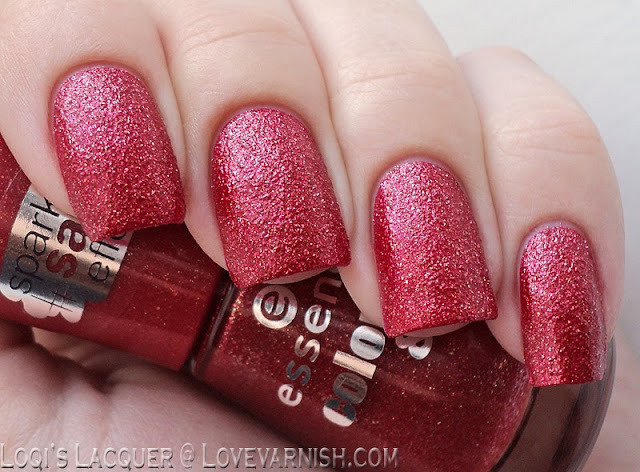 Swatches and review - Essence texture 'Sparkle sand effect' polishes! Monday Swatches and review - Essence texture 'Sparkle sand effect' polishes! A year ago the texture trend was in full swing and Loqi showed 2 beauties from Essence. 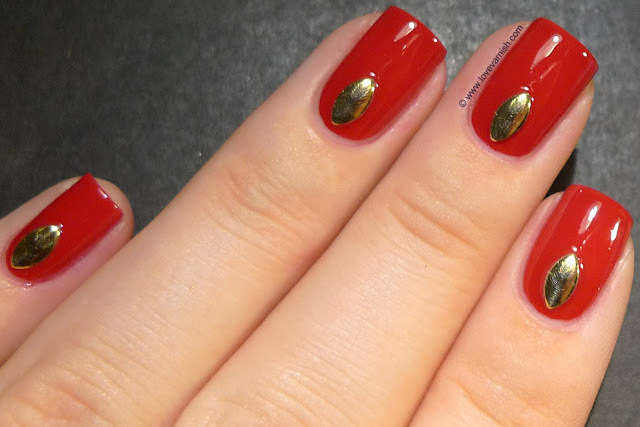 Wow, has it only been a year since we all though Bondi was the best new polish brand on the block? I am sure by now all of you know this company was a total scam and even though I stilll own and use the polishes I got, I get angry a bit every time I do use them! Matte glitter ♥ what's not to love? And Shimmer glitters apply so easy, they are lovely. Rodeo fanatic and Godfather of pearl: Nail party! Friday Rodeo fanatic and Godfather of pearl: Nail party! 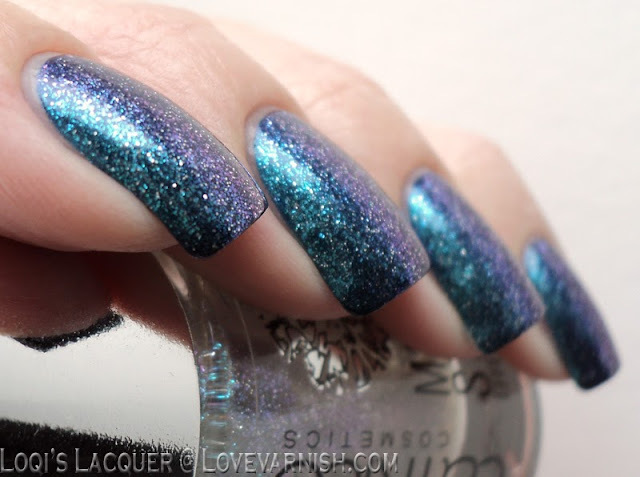 Look at this gorgeous duochrome look Loqi created layering 2 polishes. Isn't it stunning? Another Bondi polish.. I love those studs! 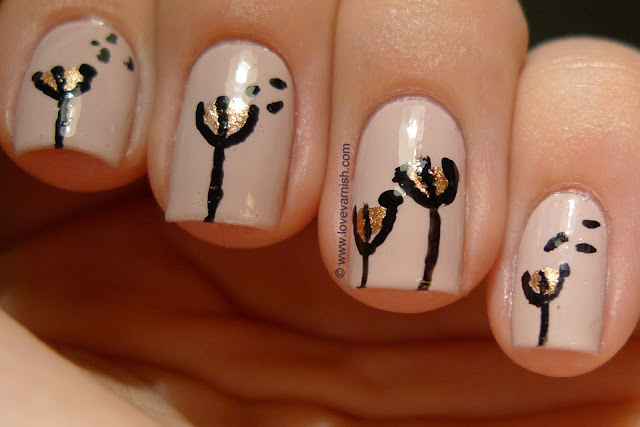 Me and freehand nail art... not the best combo ;-). That top Essence polish is the stuff my dreams are made of =O but in a good way =D Beautiful swatches of all of the polishes! i love tuesday, wednesday and thursday's manis!! Great week! I love the China Glaze shade! So gorj! Rodeo Fanatic is one of my all time favorite CGs! Glad you like it! Essence is available over there, right? That whole collection is one big epic win right :).